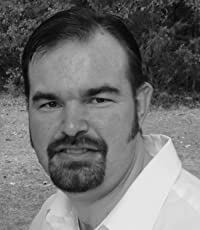 Tarl N. Telford (1976- ) is a novelist, poet, playwright, screenwriter, and technical writer. Born the eldest of nine children, Tarl quickly found his place on the bookshelf next to the encyclopedias. After devouring the reference books, he moved on to science fiction, fantasy, westerns, weird fiction, and comics. Then he found more reference books on American history, psychology, game theory, ancient history, and many more. Tarl annotated The Wonderful Wizard of Oz novel as part of an interactive app project. His research led to the creation of The Hidden History of Oz, a prequel series set in Oz fifty years before Dorothy. He has written multiple screenplays and stories that include magic, mythology, and the power of dreams. All of these elements are explored in the Hidden History novels. Tarl is the author of 18 screenplays, two novels, several stage plays, and a few short stories. He is working on several additional novels and stories set in The Hidden History of Oz. He dreams big in a small town in Texas with his red-haired wife.